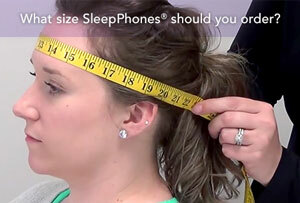 SleepPhones® are the world's most comfortable headphones for sleeping. SleepPhones® were designed to sit over the ear making them comfortable even for side sleepers. 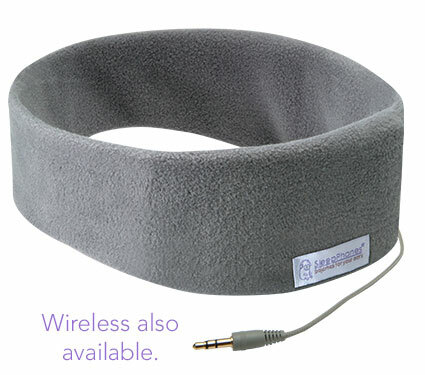 The luxuriously soft headband, made of our exclusive SheepCloud™ fabrics, contains thin, padded removable speakers to play any type of music, audiobooks, meditation, white noise, or talk radio. 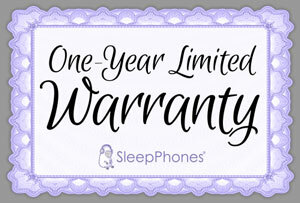 Lightweight, washable, hypoallergenic, and RoHS/CE compliant with the highest standards for electronics and batteries, SleepPhones® come with a One-Year Limited Warranty. More than 9 out of 10 customers would recommend SleepPhones® to friends and family. 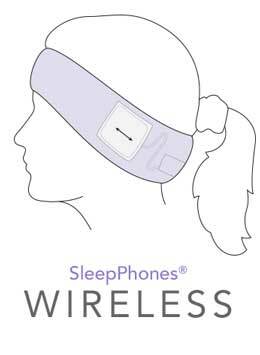 Our one-of-a-kind headband headphones - SleepPhones® and RunPhones® - promote sound sleep and healthy lifestyles in ways you’ve never heard. For about anywhere you want to hear music and more, there’s an AcousticSheep product that’s right for you. That’s because SleepPhones® were invented by a family doctor and her video game developer husband — right on their kitchen table — so she could get to sleep faster, better, and more comfortably at night. Available in corded or wireless versions in a wide variety of colors and different fabrics, SleepPhones® and RunPhones® products make it easier -- and more comfortable -- to customize your listening experiences like never before.